Regular maintenance (pool cleaning and servicing) is vital for safe and healthy swimming. Maintaining balanced pool water chemistry is not only good for swimmers – it will also protect your pool. Healthy for Swimmers and the Pool! Regular professional maintenance will help protect all pool surfaces, plumbing, pool operating equipment and accessories. In a Nutshell, Regular Pool Maintenance Will Save You Money! Pool Clear regular service clients rest easy in the knowledge their pool is professionally maintained with our ‘attention to detail’ pool servicing. We use the latest and best technologies available for our on-site testing, analysis and balancing. We also offer on-call services for existing customers, providing insurance against weather events, contaminants & staining or equipment failure which can turn pools cloudy and green. Like us, each pool is different. 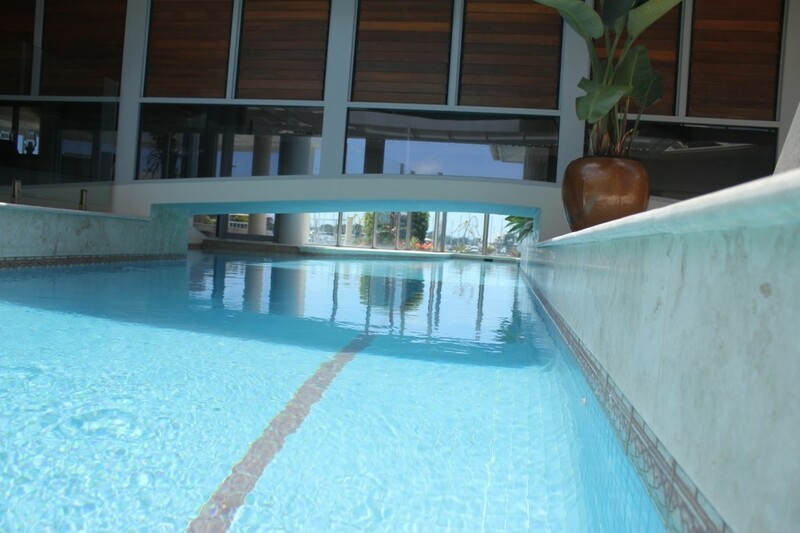 Pool Clear takes into account a pool’s specific characteristics and requirements, as well as your budget. We then create a pool maintenance regime tailor-made for your pool, designed to save you money in energy costs, water and chemical usage. Whether it’s following a new pool installation, or for an existing pool, we will implement and install pool equipment that is best suited to your pool – at the best price possible. Our pool maintenance service will save you money.